Over the recent long weekend, on All Saints’ Day to be exact, I had the privilege to read yet another amazing novel from Mitch Albom, whom I consider to be a writing genius of this generation. I find his books really inspiring, somewhat sad, but in all ways enlightening. If I were to list my top ten books of all time (which I have not yet dared to do…it would entail a whole lot of hard work, deep thinking and tons of erasures, and reconsiderations), I am certain Albom’s Five People You Meet in Heaven will make it to that list. I was actually reading another novel, The End of Your Life Book Club, a true account of a book “club” between a son and his mother, who was dying of pancreatic cancer. They spent the last days of her life talking about books they both read and how the books have affected their lives. I find it very sad, and it makes me miss Mama even more, for which reason I decided to give it a rest and find something else to read. A low-sodium-slash-low-cholesterol-slash-conscientious-diet plus a tearjerker like this one is definitely not a good combination. I needed to choose between putting down the book, or reaching out for that sorely missed duo caramel-and-hot-fudge sundae. So from my roster of hundreds of still unread books I chose Mitch Albom’s latest work: “The Time Keeper”, about Father Time – he who invented the concept and tools that tell and determine time; and practically (somewhat) doomed us all to this awareness, consciousness of time. 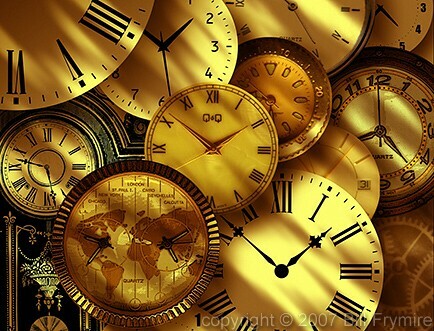 “Try to imagine a life without timekeeping. You probably can’t. You know the month, the year, the day of the week. There is a clock on your wall or the dashboard of your car. You have a schedule, a calendar, a time for dinner or a movie. It was a bit too late when I realized I should have stuck with the book club drama; the way Albom discussed time in this novel struck one too many nerves. Some parts are too painful to read: sometimes I felt the need to look over my shoulder to make sure Albom was not stalking me; bits and pieces of the novel felt like my life according to Mr. Mitch. It is at times like these when e-books tend to rob me of comfort after a sad read. When you are holding an actual book, there are times when you need to clutch the book to your chest and give out a long sigh, and the scent and feel of that book will somehow relieve your aching soul. Hush hush, I hope Kianne (my Kindle) sees none of this. If you are (at times?) guilty of feeling too pressed for time, or one that is too much hassled by not having enough of it, you should find this book and gobble it. It did not exactly render me free of time-consciousness, that having been ingrained in my system too long, but I am painstakingly trying to realign to an entirely different perspective. How I wish that’s easy to do with only a little salt, sugar and less fat (or so I’d like to think) in my system.